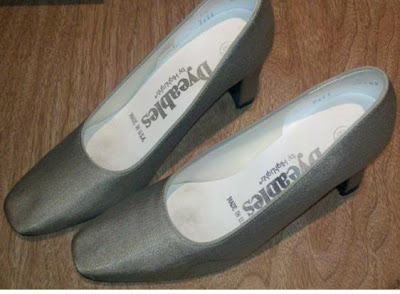 Give Some Old Shoes a Makeover! Do you have some old shoes that aren’t looking so good anymore, but you just can’t bring yourself to get rid of them? Why not give them a makeover? 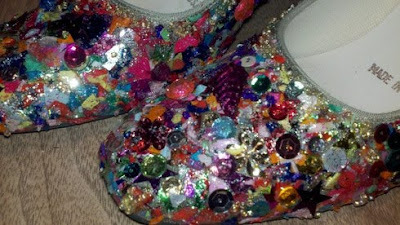 I saw this post made on the La Sophia blog for some fabulously fun sequined shoes! Check out her project here. Too cute, so I decided to give this project a try. I found a pair of fabric shoes that had water stains on them, so they were perfect candidates for this project. I love how they turned out! Start by spreading out some paper to cover your work area. I use freezer paper so that I can pour the Modge Podge and all my decorations out on my work surface. I began by applying large pieces of the mylar confetti that I bought at my local dollar store. This will be the base layer. Then I added pieces of the paper confetti, from the same store, and also a few sequins with the Jewel It glue. The paper confetti will add some dimension to your layers. For a smoother look, only use the larger, flat pieces. I decided that I was going to go for a dimensional and layered look. After that dried a bit I could see areas that I had missed and added more confetti. Then more sequins. Next I added some of the plastic gems. I would leave no space unadorned. After the glue on the gems had dried I added some of the glitter by brushing it on with the Modge Podge. I brushed the glitter over some of the sequins and it really made them sparkle! 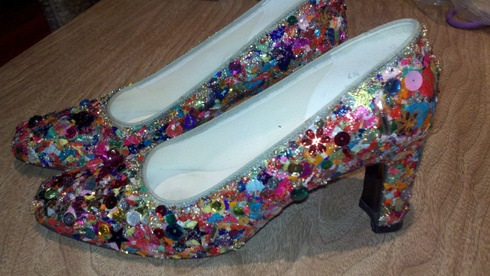 After the glitter dried I added more sequins and a few more gems. I noticed that there were some areas around the foot opening that needed attention, so I added some seed beads to fill in the gaps. Take a break and let it all dry overnight. The next day you can look at your project with “fresh eyes” and see if you think you need to add anything more. If not, then you are done with decorating and ready to apply an even top coat of Modge Podge over the entire surface. You don’t have to cover the gems if you don’t want to. They should hold just fine. I recommend letting the shoes dry for a couple of days before wearing. That will give you time to put together the perfect outfit to show off your latest creation! 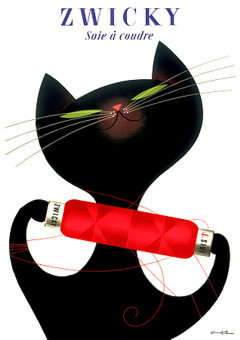 Check out the San Diego North Park Craft Mafia's monthly newsletters for more crafty fun! 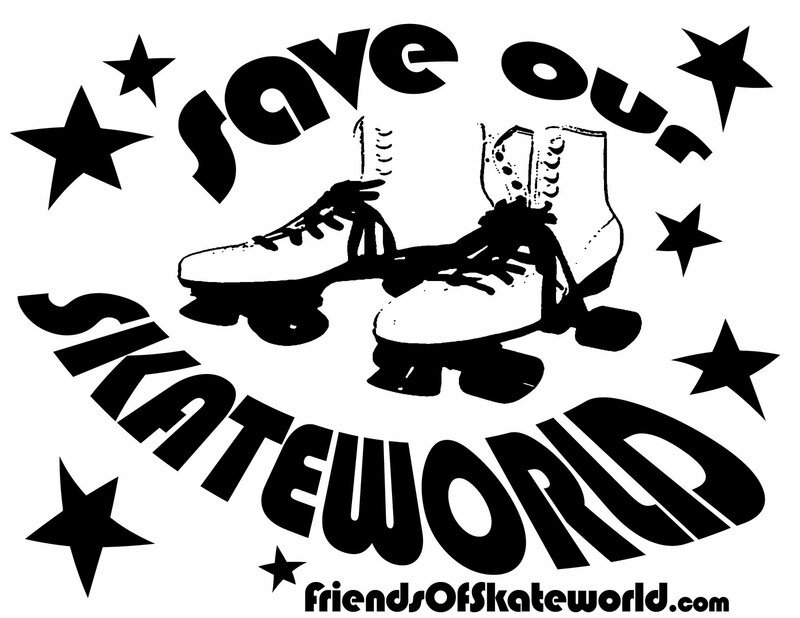 Read the Latest in the Fight to Save Our Skateworld! For those of you who know that I skate with San Diego Roller Derby at Skateworld, you know that I am also involved with the fight to save the city's last remaining roller rink. I have been working with the Friends of Skateworld, a non-profit group dedicated to saving this historic building and the roller rink it houses. Today the U-T reported that MRW, the development firm that was working with Bayside to take over the property and redevelop it into a "mixed-use" venue, has backed out of the project. Though it is uncertain whether Skateworld will be allowed to remain and serve the community as it has since 1975, this news brings some hope that we will see that happen. Skating has had a huge resurgence in the past several years. Why take away the last rink in the City of San Diego? What Are You Doing This Sunday? - Going to the North Park Festival of Arts, Of Course!! This year's event will be happening on Sunday, May 15th from 10 am to 6 pm along University Ave. between 30th and 32nd Streets. The San Diego North Park Craft Mafia will have our own section of vendors called the "Spring Line Up"! All SLU vendors are artists and crafters who take pride in the things they create. Each year we try to bring together a variety of vendors with an assortment of creative products. This year we have added something new - a "Craft Lounge"! Stop by, relax, and get some crafting time in at the lounge. 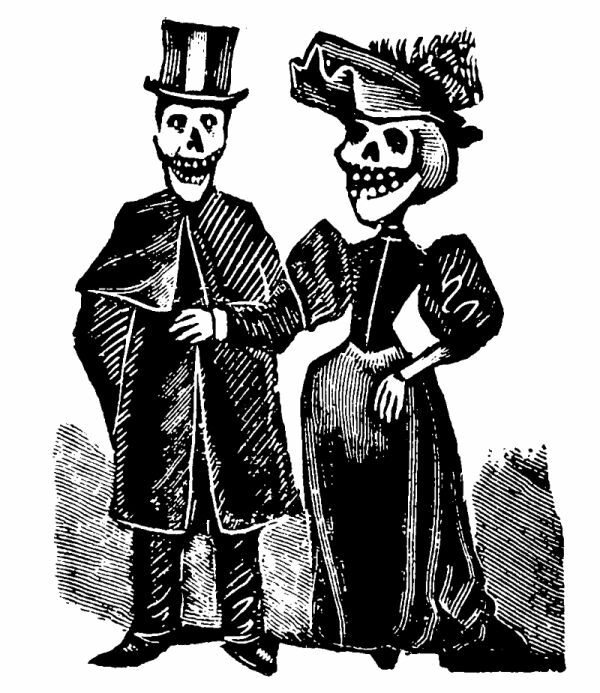 Bring a project to work on and meet other crafty folks! The first 100 visitors to the Craft Lounge will receive a free swag bag full of crafty items like stickers, beads, coupons, and more! The NP Festival of Arts is always a lot of fun with something for everyone. Entertainment will include live music, dance performances, kids art block, a "quick-draw" event, and a beer and food tasting block! Admission to the event is FREE (you will need to purchase a ticket for the beer/food tasting) and parking is available in the 30th St. parking structure. You can even get free valet parking for your bicycle! This is a great event for the whole family! 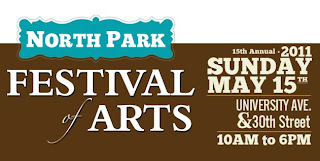 Visit - www.northparkfestivalofarts.com for all the latest info! Join Us For a Night of Fashion at "Friday Night Liberty" - May 6th! You're invited to the NTC Promenade Arts & Cultural District for a FREE evening of happenings. On May 6th, Arts Meets Fashion, collaboration between local fashion designers & artists offers an outdoor dance performance at Legacy Plaza. Jean Isaacs San Diego Dance Theater presents a preview of New Voices with 2 sections from "Hunters Trilogy" and a cast of 10 dancers. Followed by a Fashion Show & Open Catwalk in the Rose Garden. See featured designer's fashions and then join in the action yourself! Show up wearing fashions from local designers, fill out a note card for the MC to read, and strut your stuff! Be sure to stop by the Velvet Klaw Studios for a hands-on screen printing and t-shirt reconstruction demo! Bring a light colored t-shirt and print your own shirt to cut up, restyle and take home! 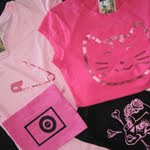 Screen printing is a fun way to create your own fashions! There will also be several crafty vendors who will be set up around the venue selling their wares. Look for them outside the Barracks 19 & Visions Art Museum building! It's the perfect time to get some Mother's Day shopping done with lots of unique items available for purchase. Check 'em out - Attic 802, Hey Hot Stems, Little Pink Plum, Tabou Treasures, Tora Jewelry, Vee Y. Design, Wink Artisans, Zabana Essentials, & Zedena Designs. 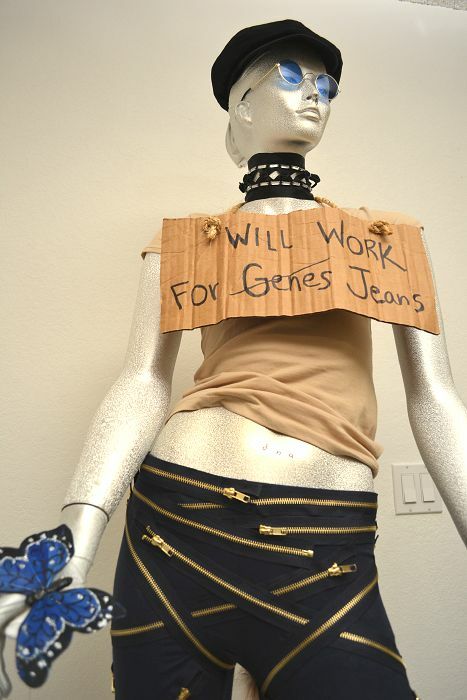 ** Photo from the Mannequin Project. Courtesy of Debbie Solan. The Spring Line Up is Coming! Vendors Should Apply NOW!! Spring is on its way and the Craft Mafia crew is getting ready for our 4th Annual "Spring Line Up" event! What's the Spring Line Up (SLU)? 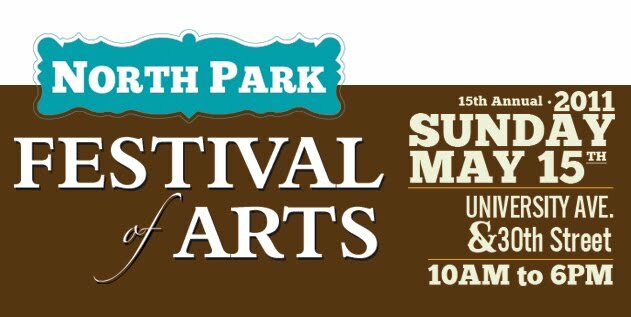 It's our annual show which takes place within the North Park Festival of the Arts in North Park. This year's event will be happening on Sunday, May 15th from 10 am to 6 pm along University Ave. between 30th and 32nd Streets. The SLU is the Craft Mafia's own section of vendors who will be selling some fantastic crafty items. All SLU vendors are artists and crafters who take pride in the things they create. Each year we try to bring together a variety of vendors with an assortment of creative products. The NP Festival of the Arts is always a lot of fun with something for everyone. Entertainment will include live music, dance performances, a food court, kids zone, hand-on art booths, and a beer and food tasting court! Admission to the event is FREE (you will need to purchase a ticket for the beer/food tasting) and parking is available in the 30th St. parking structure. This is a great event for the whole family and a great opportunity for crafty vendors to show their wares! Interested in applying for a vendor booth in the Spring Line Up section? The vendor application has been posted! Simply download the app., read all the info, and send in your completed application and payment. Space is limited, so don't delay! In addition to the standard 10'x10 size space, the SLU is the ONLY vendor section at this event to offer 5'x10' spaces for those artists who don't need quite so large a space. Applications postmarked by February 28th are eligible for an early bird discount! That's $50 in savings off a 10'x10' and $25 off a 5'x10'! We hope you will join us!